Cavities are the most widespread childhood disease. Don’t let your children go a year without an appointment with the dentist. Going to the dentist is an important habit year-round, but your child’s back-to-school checkup is especially important in combating the most common childhood illness: cavities. 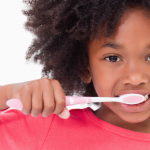 Did you know that dental diseases cause children in the US to miss more than 51 million school hours annually? 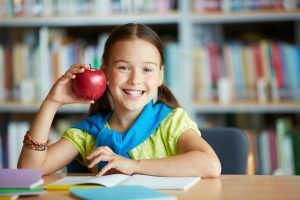 To help you get into the swing of things and start the year right, we’ve put together a set of back to school dental tips. Back to School Tip 1: Be aware of your communication. If you feel nervous whenever you think about going to the dentist, chances are that your child can probably sense something. Kids pick up on parents’ anxiety, and that can be a significant factor influencing their impressions about the dentist. Especially around ages 4-6, when children are forming their vision of the world, it’s important to help them to have safe, positive experiences. The younger your children are, the more aware you have to be about the way you communicate with them. Help them to feel successful at accomplishing a good visit. 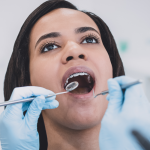 Link that positive feeling to the message that their teeth are strong and healthy so that they have that message in mind when they go to the dentist in the future. A great way to help children to get used to the dentist is to make one of your children a model for the rest. Pick the child who has had the most positive experiences with the dentist to go first so that the others can get his/her report before they go in. This peer-to-peer strategy can be very helpful for other siblings who are nervous. Every child is different and will naturally approach the experience with a different attitude. Back to School Tip 3: Teach flossing early on. Many parents are effective at teaching their children to brush, but how many teach their children to floss? Perhaps this lack is because many parents themselves don’t do it. Help your child to get a head start in life by flossing their teeth early on. 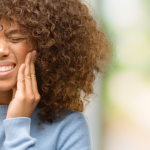 As they get used to the sensation, it will become a regular part of their dental routine and prevent many problems that cannot be addressed by brushing alone. As a rule of thumb, when children are able to learn to write in cursive (third or fourth grade), that means that they are probably dexterous enough to floss for themselves. Flossing is a vital part of your dental routine. By flossing, you get rid of the bacteria and plaque that build up over time and cause gum disease and cavities. Back to School Tip 4: Have fun! Don’t get so caught up in the worry about dentists and dental care that you can’t retain your sense of humor! Let your children see your relaxed side and they will take a fun-loving attitude towards the experience as well. For small children, you can talk to them as you brush their teeth or floss, telling them stories about their different teeth.You can also associate dental visits with fun by taking them for an outing afterward. You know your kids–and they are totally unique in their needs, sense of humor, and personality. Be strict about keeping up a good routine, but let yourself have a little fun with it so they do, too! Penn Dental Medicine offers discounted dental care to individuals, families, and young children. We also have dentists for students, many of whom visit us from nearby universities in the area. 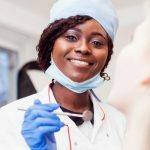 We hope these back-to-school dental tips will help you and your children get back into the rhythm of the new year and ready to get up-to-date with their student dentistry needs.To learn more about dental care for your child at PDM, don’t forget to check out our pediatrics page or sign up for an appointment.